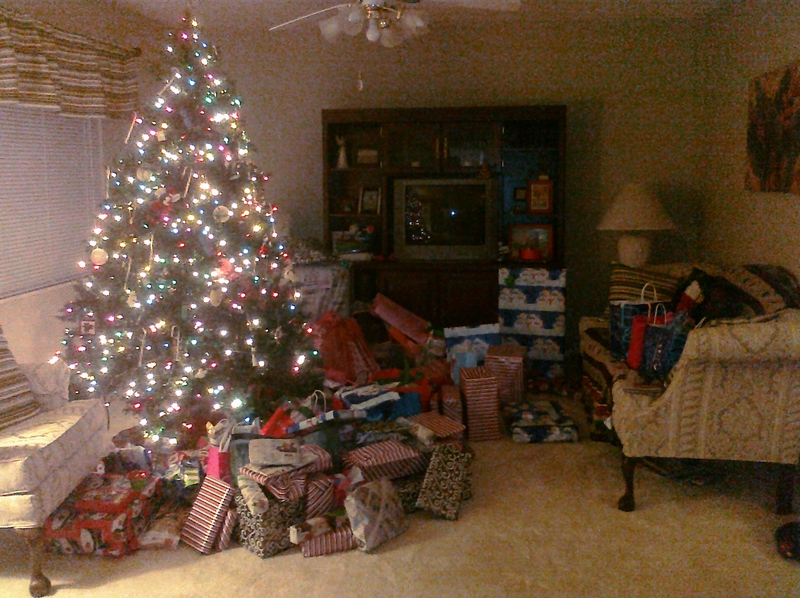 I know that it is hard to believe by looking at this picture but we had a very frugal Christmas that was also unbelievably fun. We used a lot of strategies to amass this huge pile of gifts while spending very little money (See 30 Ways to Save Money this Christmas). Yesterday, I spent all day cooking and cleaning and getting ready to have my family over for Christmas at my house for the first time. We all gave and received many fun, useful and joyful gifts that we will treasure in our homes for years to come. More than anything, I feel thankful for the many blessings we have in our lives and the many people we have to love.